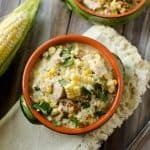 Healthy Crock Pot Jalapeno, Chicken & Sweet Corn Soup is an easy and delicious dinner you can throw in the Crock Pot for a couple of hours and have a healthy and complete meal on the table! Last weekend, I had too much going on to get around to taking care of the lawn, so I had to do it after work. This Crock Pot soup was the perfect solution for dinner with chores to take care of. I got home after work and threw the ingredients in the Crock Pot and could leave it to cook while I went outside to take care of the lawn. I finished mowing the lawn after a couple of hours and came inside to the wafting smell of creamy sweet corn, jalapenos and tender chicken ready to gobble up for a easy and healthy dinner! 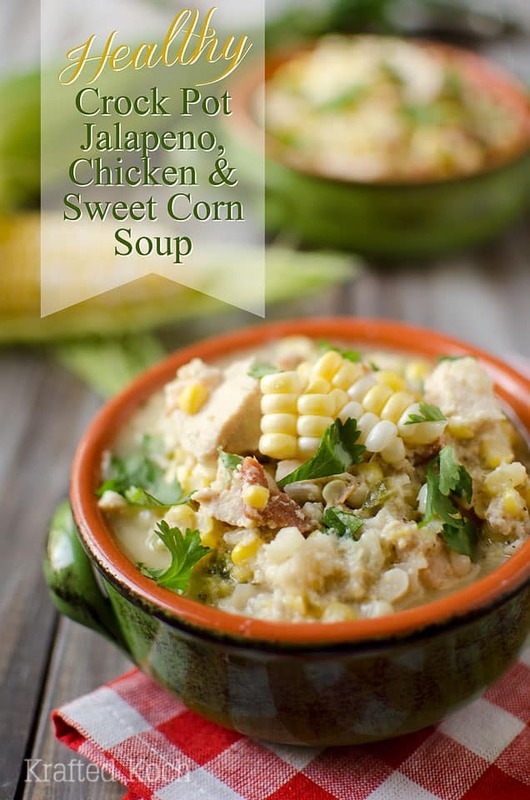 A healthy soup made in your Crock Pot, so you can set it and forget it, with tender chicken, jalapenos, fresh sweet corn and bacon. In a medium saucepan over high heat, add your butter and flour and whisk together for a few seconds until combined, it will be a little crumbly at this stage. Immediately start to add 2/3 c. milk gradually, whisking well after each small addition until it is smooth and creamy. Let cook for a couple minutes until it becomes noticeably thickened, then add 2/3 c. chicken broth, paprika and cumin. Whisk until smooth and heat on high for 4-6 minutes or until thickened. Meanwhile, in a 4-6 qt. Crock Pot, add jalapeno, raw chicken breasts, onions, corn, bacon and remaining milk and chicken broth. Add the thickened milk mixture to the Crock Pot and stir to combine well. Cook on high for 2-3 hours or low for 4-6 hours until chicken is cooked through. Stir in the cubed goat cheese about 10 minutes before serving so it has a chance to melt. 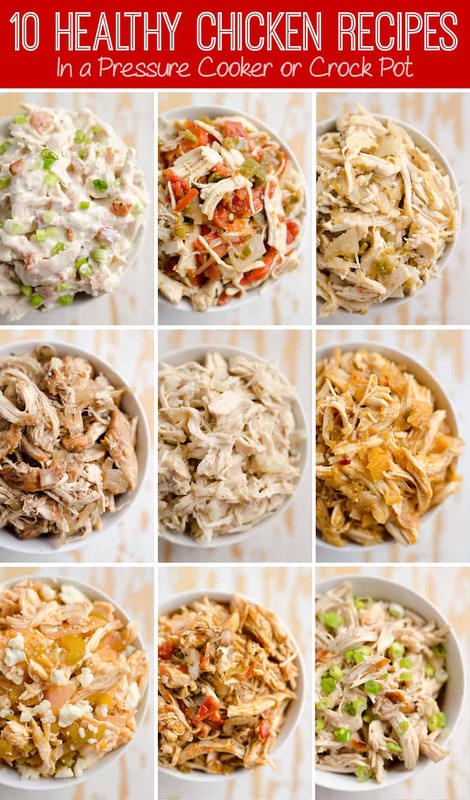 Using two forks, shred the chicken into bite size pieces. Serve warm garnished with cilantro. 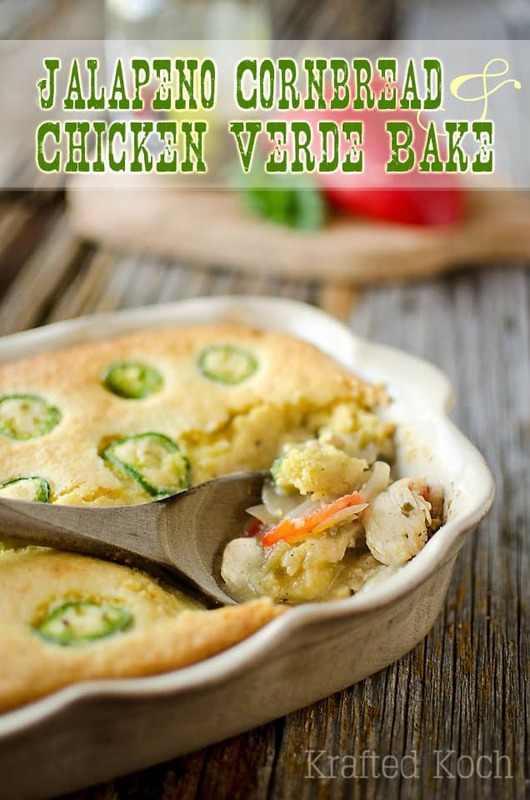 This recipe is shared on The Country Cook. 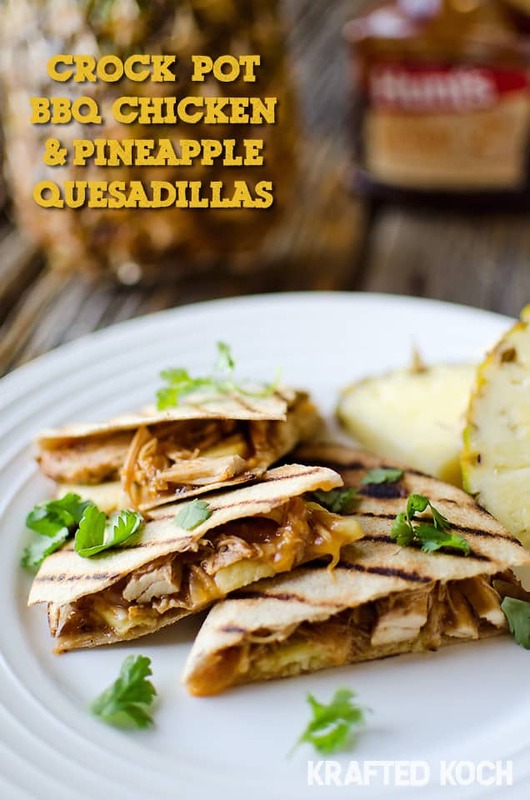 More healthy and easy dinner recipes! I just made a list of soups to try and this one is definitely joining them. I cannot wait to get my crockpot back out so I can set it and forget it. 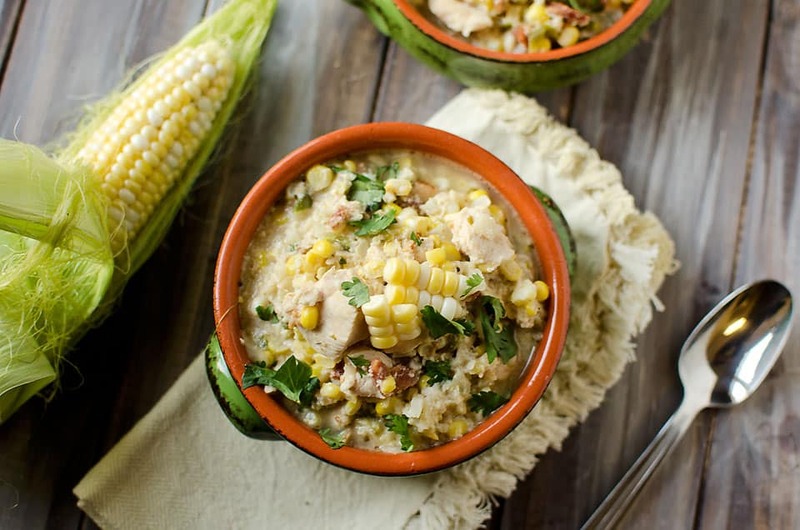 Sweet corn is at its peak right now – I bet the flavors in this soup are amazing!! Pinned! I have been enjoying my Crock Pot recently. I love the ease of it and I really should use it even more! ooh love this soup recipe.. definitely perfect for this winter weather here in Australia! Looks amazing! Way to rock the Crock Pot. Best invention EVAH! Hi Linda, thanks for pointing that out. I updated the recipe to clarify the use of the additional milk and chicken broth. Hope you have a chance to enjoy it! 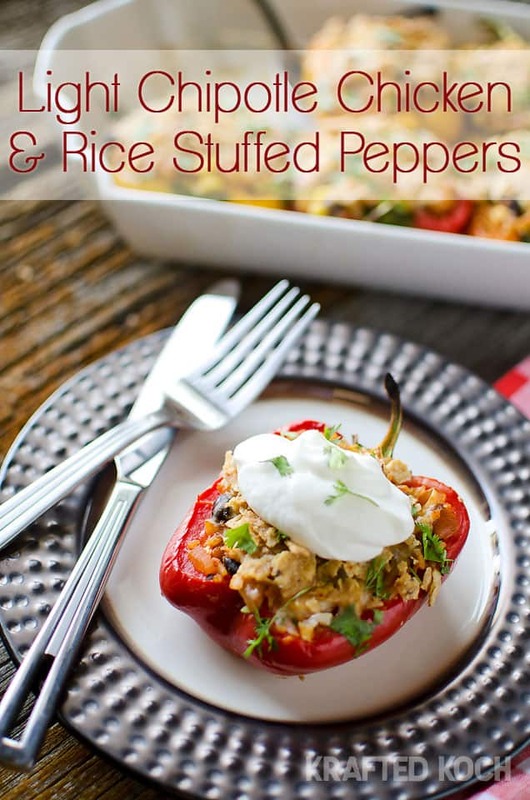 This looks so delicious….I’m making it for dinner tonight! Quick question about the bacon….are you supposed to put it in the crockpot raw? Or cook it up first? Hi Jennifer, you will want to used pre-cooked bacon in this soup. It helps cut down on some of the fat and uncooked bacon won’t cook up very well in the crock pot. I hope you enjoy it! Is it possible to make this on the stove? Suggestions!? I made this this morning before work and my husband loved coming home to it in the crockpot practically ready to eat when I had to work late! Thanks for sharing! Thanks Lilly, glad you enjoyed it! Is 1/2 cup of flour to 2 tablespoons of butter right? It seems not right, and it did not work out well for me. How do you ever manage to get the flour and butter to combine without lumps? I’m extremely familiar with roux, which usually uses a 1:1 flour to fat ratio, so 1/2 cup to 2 tablespoons is very out of the ordinary, in my experience. I followed the recipe very precisely, but ended up having to strain the thickened milk so I didn’t end up with a bunch of flour balls in the finished product. Hi Lauren, sorry you had problems with this. It isn’t like a traditional roux, as it will be crumbly after initially adding the flour. By slowly whisking in the milk, it will smooth out. It may require a vigorous whisk, but ultimately it will have a creamy consistency and there shouldn’t be any chunks of flour left over. You can double the butter to make the process easier, but that will increase the fat content in the end. I agree, it would be more successful just to add more butter or coconut oil to make a proper roux. Perhaps 1/2 a cup of butter could be reduced some. Just enough is needed to make a nice roux, but 1:1 is the proper ratio. This recipe looks delicious, I am hoping to try it out in the next month or so, particularly when our weather cools off. 🙂 Do you think if I added some small red potatoes they would cook up well in this soup?? I think red potatoes sound like a great addition! I would just heir on the side of caution and cut the potatoes into small pieces to ensure they cook through. I’d love to hear how it turns out! What do you think about using half red onion and galf yellow onion? That’s all I have at home right now, and I want to make this tonight without a trip to the store! Those should work just fine Brook! I am so glad you enjoyed it Adrev!!! Made this last night for dinner. I added a tsp of crushed red pepper flakes- felt like it needed some more heat. The soup itself ended up really thick- I did prepare it on the stove top instead of the crock pot because I didn’t have extra time. Was really delicious and satisfying. Have you or anyone ever added white beans the the recipe to make the soup more of a chili? what should the end consistency of the flour/milk/stock be? Mine was very very thick. Smooth but thick. I even added extra stock to try to thin it out- did I go wrong somewhere? Thanks! How much flour did you add? My guess is you added too much because it should actually be quite thin. Do you add the butter flour and milk mixture to the crock pot? Or is that something seperate? Sorry if this is a stupid question.. I’m just dipping my toe into this cooking thing! Thank you! Recipe sounds delicious! 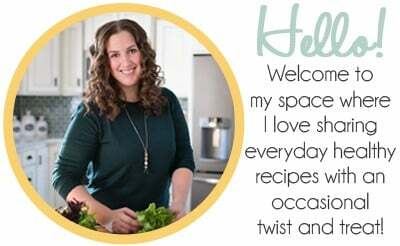 Hey Kimberly, yes everything gets added to the crock pot before cooking. Good luck! I must say that if one wants the most flavor out of fresh corn, one must limit the cooking time. The corn should be added in the last 5 to 10 minutes, just long enough to heat up or it will lose its delicate flavors from overcooking. If cooked for less time the kernels will be juicy and flavorful. There is definitely some kind of error in the measurements of this recipe. A 1/2 cup of flour and 2 TBS of butter with these liquid proportions will create a cement block in your crock pot. I was able to (barely) recover this recipe and not destroy all of my ingredients by tripling the milk and stock in the crockpot and only using 1/2 of the faux-roux mixture. Bummer, this has the potential to be a great recipe if the measurements were right. Ingredients list corriador but no mention when or how much to add. I also see the measurement for butter is 1/4 cup (not 2 tablespoons) & 1/2 cup milk. Is this correct? The ingredients list Corriander, but no mention of how much or when to add. Also I see 1/4 cup of butter, not 2 tablespoons. Is this correct? I used 1/4 cup butter to 2/3 cup milk and it was quite thick. Hi Susan, yes it should be 1/2 c. butter. but it should have been 1 2/3 c. milk. I don’t see the mention of coriander you mention? Followed the recipe exactly (except turkey bacon was used) and it was VERY thick. Added a couple cups of broth and it is perfect. The goat cheese will be icing on the cake. From what I’m reading in the comments, the flour and butter ratio is odd? I did half stick butter (1/4 cup) and 1/2 cup flour. In the future should I just half the flour to even it out? FYI, I also added fresh cilantro to the cooking process so I guess I didn’t quite follow the recipes exactly. I also used the ninja cooking system where I made my “rouix” right in the cooker than added the rest of the liquids and then the other ingredients. Yes, if you don’t want it so thick, you can just cut back on the flour listed. I made it on the stovetop and the flour butter combo did burn my pan. I had to completely move all the ingredients to a different pan. I recommend melting the butter first and then adding the flour. If making on the stovetop, I recommend doing step 2 before doing the butter/flour combo. Otherwise the timing will be off. It has an ok flavor but not my favorite. Not sure why this is labeled healthy? Doesn’t seem like much point in using skim milk in a recipe that has bacon and goat cheese and butter.